(HOLLYWOOD PRESS CORPS) — Los Angeles, CA — Thursday, May 31st, 2018 — Director and cinematographer Jeremy Guy presents his feature documentary directorial debut with “Purdah” (“Veil”) — the inspiring story of a young Indian woman who trades her burka for dreams of playing on the Mumbai Senior Women’s Cricket Team and how the harsh realities for women in her country creates an unexpected outcome for her own family, ultimately shattering and fueling aspirations. The film is an Official Selection in competition at the internationally renowned Dances With Films festival, featuring its Los Angeles Premiere Screening at the world famous TCL Chinese Theatres in Hollywood on Sunday, June 17, 2018 at 5:00 p.m. The film recently held its World Premiere at Cinequest Film Festival where it was called a “a real life Bend It Like Beckham” by KQED-FM (NPR). The three independent-minded Mirza sisters have ambitious dreams for their lives and careers. 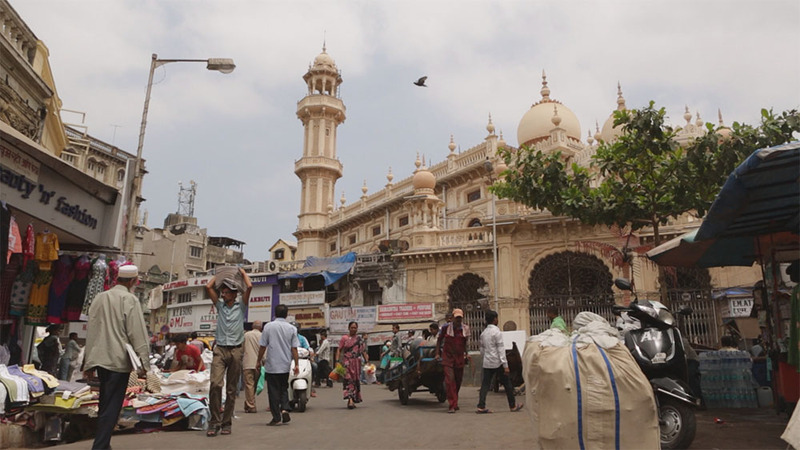 Despite their earnestness, they face an uphill battle coming from a conservative Muslim family in Mumbai, India. Kaikasha Mirza became enamored with cricket as a young woman, yet she was forbidden to play and forced to be a spectator in her burka, but she eventually persuades her father to allow her to remove her burka to become one of only a few Muslim women cricketers in all of Mumbai. 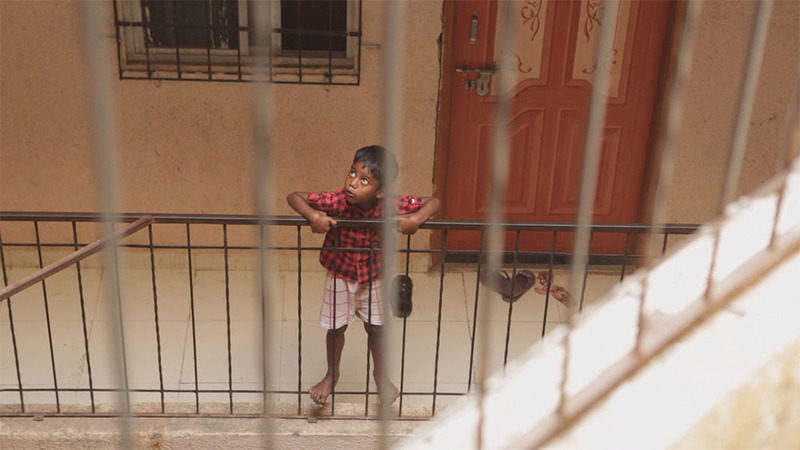 She chases her dream of playing for the prestigious Mumbai Senior Women’s Cricket Team, but her parents give her the ultimatum that she will have two years to become a professional cricketer—or they will arrange her marriage. Kaikasha’s eldest sister, Saba, has her own dreams for her career and yearns to become a model, and Heena, the youngest sister, wants to be a fashion designer or a singer, but poverty may impede their pursuits. All three girls and their mother must contend with the wishes of their father who does not believe women should work, but rather, stay home to cook, clean and raise a family. As the women pursue their dreams, a series of shocking and tragic circumstances befall the Mirza family, and the film continues to follow each of them as they battle through family crises, poverty, and intense societal pressures. This cinematic journey highlights how dreaming the impossible dream and having a passionate purpose can potentially save us. This story of perseverance lands on the message that even if things don’t turn out as we had hoped or planned, it’s about how we react to overcome life’s biggest challenges that makes all the difference. On Saturday, May 19th, many celebrities and luminaries in the martial arts world will be inducted into the prestigious USA Martial Arts Hall of Fame at their gala at the Doubletree Hilton at 6161 West Centinela in Los Angeles. Celebrities awarded at the gala are legendary actor and master Stephen Lang (Avatar), legendary action star Mel Novak (Bruce Lee’s Game of Death, Steve McQueen: American Icon opposite Mel Gibson), legendary action star Laurene Landon (Maniac Cop 1 and 2, Sky opposite Norman Reedus), multi award-winning actress, model and martial artist Dawna Lee Heising (Samurai Cop 2: Deadly Vengeance opposite Tommy Wiseau, Nemesis 5: The New Model), multi award-winning filmmaker Thomas J. Churchill (Check Point, Nation’s Fire) and multi award- winning actress and HPC’s very own Vida G. (The Mindy Project, Jimmy Kimmel Live). 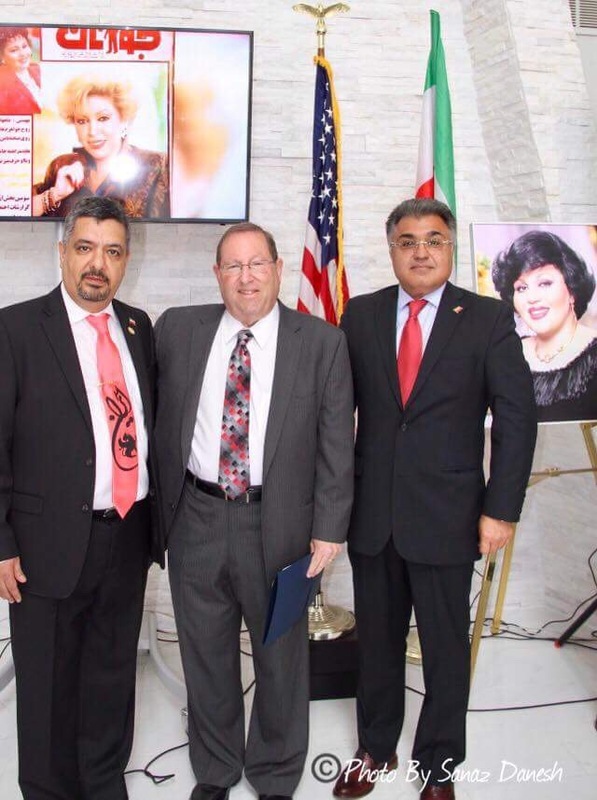 Additionally, Vida will be the first person of Iranian descent to be bestowed this prestigious award. Legendary action star Gloria Hendry (Live and Let Die), former five time world kickboxing champion and former four time sport karate champion and filmmaker Robert Parham, five time world karate kick champion and action star Kathy Long, filmmaker and martial Art Camacho, grandmaster Eric Lee, master and action hero Dan Southworth (The Scorpion King), actress Joycelyne Lew (The Big Brawl), master Brian Kula Fung, martial artist and performer Alan Koa, and martial artist and dancer Michelle Manu will also be awarded. Dr. Robert Goldman who will receive the Living Legend Award, special guest of honor and creator of the TV series Kung Fu, Ed Spielman and many more. Martial Artist and stand-up comic Mark Hoadley will be opening the gala with his unique style of stand-up comedy. Sifu Hoadley is a 3 time Hall of Fame inductee and last year’s Alliance inductee. Mark frequently performs at The World Famous Comedy Store, The Ice House and the Clown House. For the first time ever, it will be a mini Black Belt Jones reunion with stars Gloria Hendry and Mel Novak with a special tribute to Jim Kelly. This renowned Hall of Fame was founded by Grandmaster Jim Thomas, Ph.D./D.Sc./Ma.Dsc. 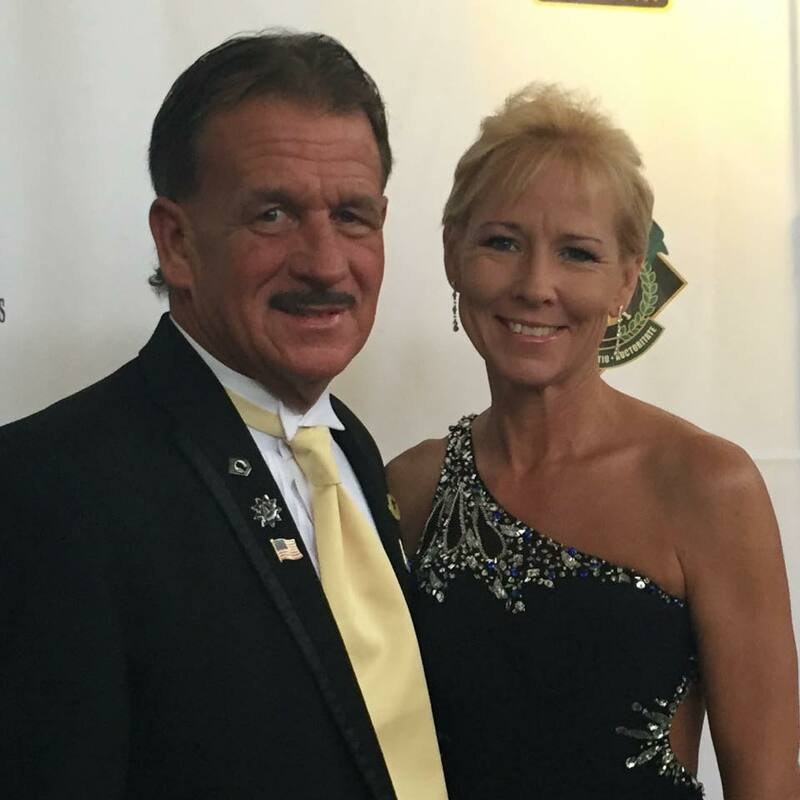 Dr. Thomas is a 10th degree grand master and is recognized as one of 20 worldwide. He has been active in the martial arts for over half a century. In addition to serving as the head coach for Team USA, he was inducted into 6 various martial arts ‘Hall of Fame’ institutions and listed in ‘Who’s – Who’ in the world of Martial Arts. Grandmaster Thomas has won over 200 awards and trophies and served in the U.S. Air Force for 7 years during the Vietnam Evacuation Era. He was a former athlete for the USA World Class Competition Team and has appeared in over 8 Martial Arts Motions pictures. The U.S.A. Martial Arts ‘Hall of Fame’ “Hall of Heroes” was originally created in 1976 by Grand Master Robert Trias, the first man to open a martial arts school in the U.S. In its beginning it was very small in nature and was done spontaneously at various Martial Arts functions. Grandmaster Thomas and Mike Day were called upon to orchestrate this function into what it is today. Even with the passing of Grandmaster Trias and Day, Thomas has kept this event alive himself and includes new exciting things each and every year! This event actually spans three days from May 19th to May 21st with seminars and classes and the gala being on the 19th. 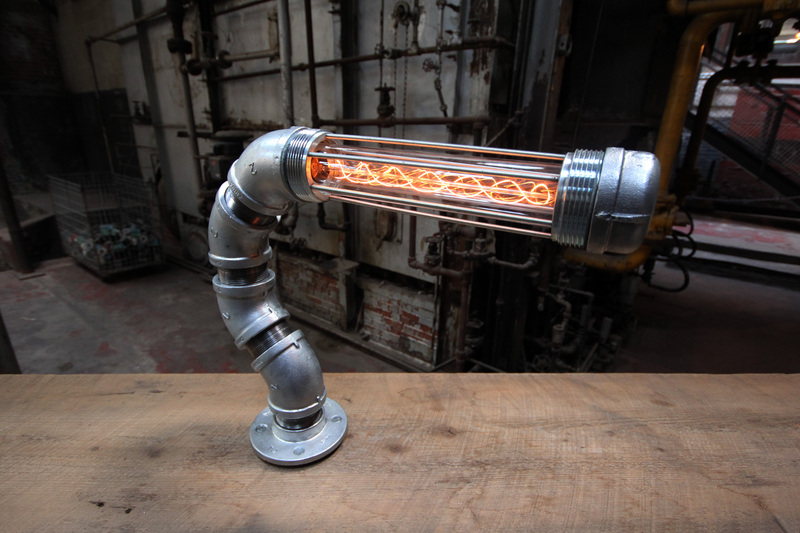 The Industrial Evolution Collection is an imaginative and dark projection of a post apocalyptic future where the human species has lost control over what it had previously manufactured. The products of industry that were formally used as vital pieces in the construction of the human’s built environment are now alive and have begun to assemble, grow, and think independently from their original creator. Evolution is rapidly taking place. Fruit or larva is present, indicating that they are now capable of reproducing. Bioluminescent features activated only in response to human touch have been discovered. Although a strong exoskeleton is apparent in all forms, cantilevered limbs and extensions suggest the presence of either a rooted substructure and vehicle to acquire sustenance or an additional internal structural or balancing system. 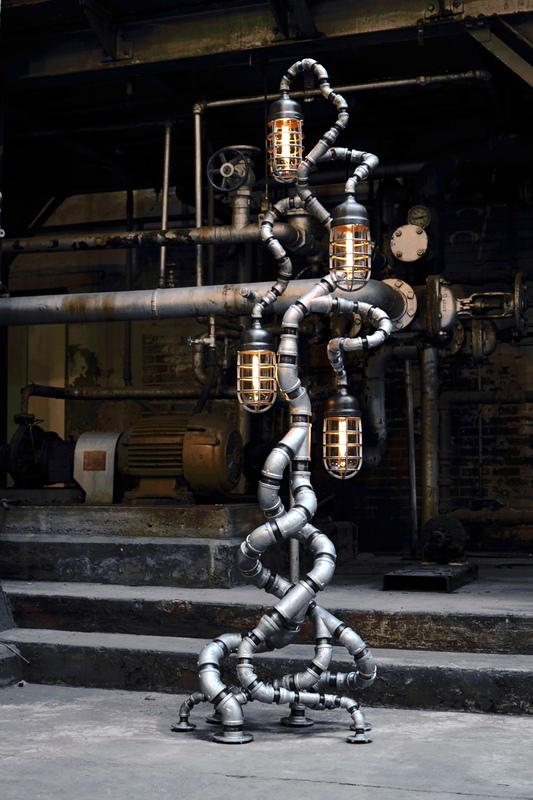 In the midst of a post apocalyptic world where the manufactured pieces of the human’s built environment began to assemble, grow, and think independently from their human creators, The Industrial Evolution Collection was born. Evolution is rapidly taking place. Bioluminescent features, activated only in response to human touch have been discovered. Their cantilevered extensions suggest either a rooted substructure or an internal structure, in additional to their exoskeleton, to accommodate the load and span of their limbs. Each creature or organism in The Industrial Evolution Collection is composed of corrosion resistant material, either galvanized or zinc plated, and is suitable for indoor or covered outdoor use. Their brain, or internal touch dimmer, is activated in low, medium, high, and off settings and will cycle through when any metal part is touched. All lamps and sconces in the collection can be hard wired with the internal touch dimmer intact or with any hard wired wall mounted dimmer switch. The desk lamps include a six foot black cord. 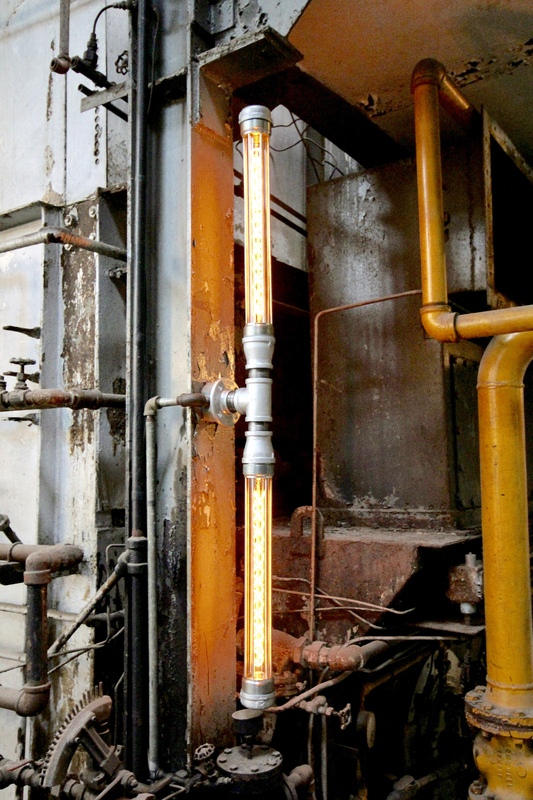 Our proprietary light housing assembly offers easy relamping of the light bulb. US and Foreign Patents Issued and Pending. 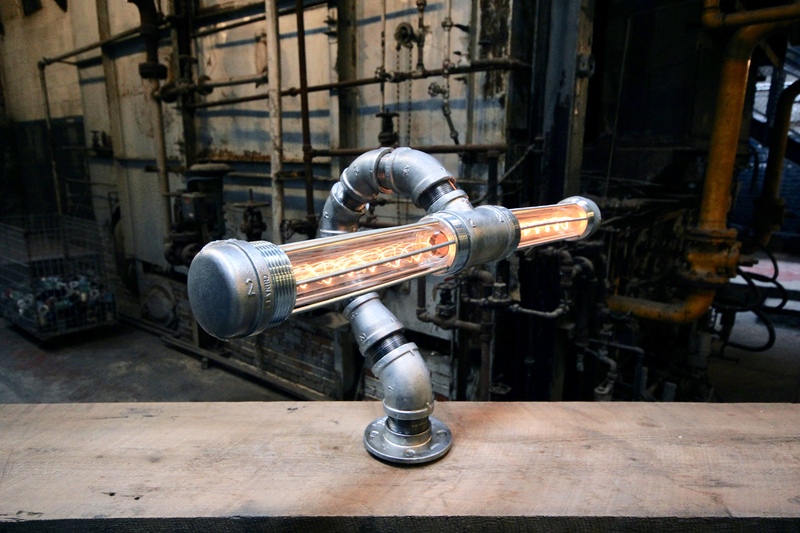 Check out David Rozek’s Industrial Evolution Collection and other cool designs. 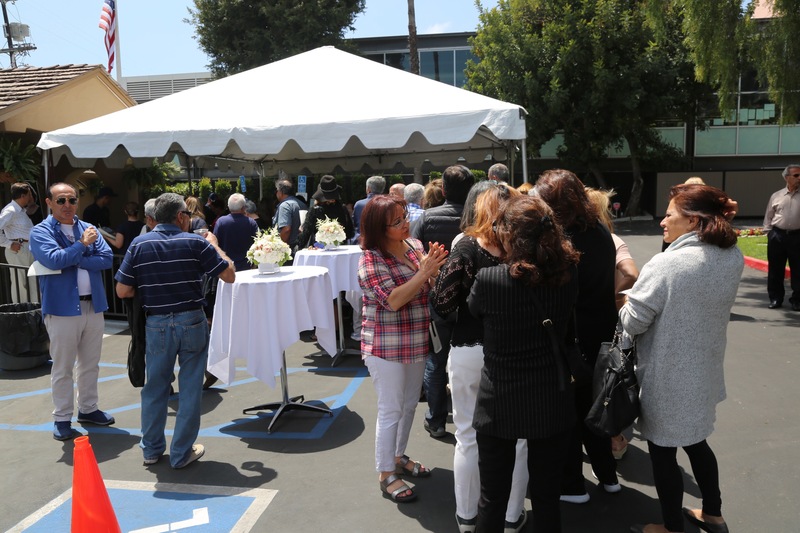 (Hollywood Press Corps) — Sunday, April 29, 2018 — The West Los Angeles Chamber of Commerce, Pierce Brothers Westwood Village Memorial Park & Mortuary, and KIRN 670 AM SoCalPersian.com held a celebration of life for Persian singer Haideh. Haideh was an iconic Iranian singer of classical and pop music. She was an ambassador to Iran. To many people she is timeless. She is considered one of the most popular singers of the 20th century Iran. Haideh rose to fame and captured the hearts of her nation when she began to sing with dramatic flair and a huge dynamic range in the 1970s. Like many of her countrymen, the Iranian Revolution of 1979 forced her into exile and she moved to Los Angles. When Haideh was 48 years old, she passed away from a heart attack in January of 1990. 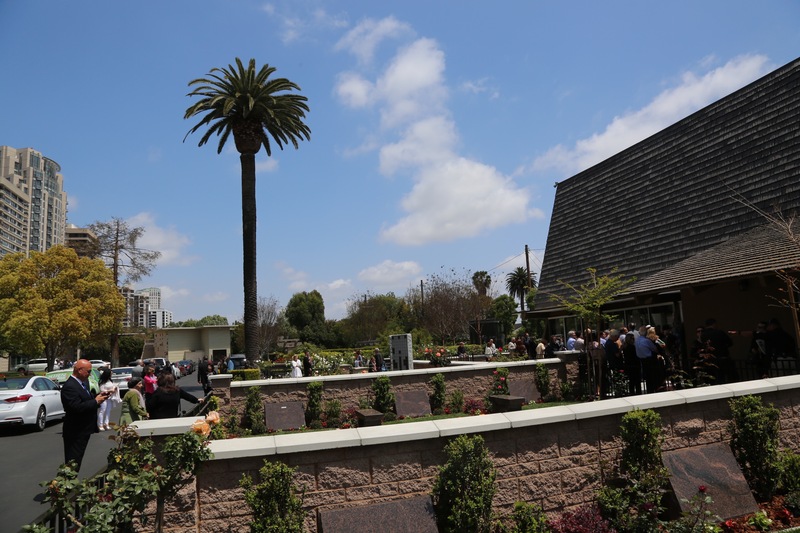 This memorial was an event to celebrate her life. Haideh’s albums are still bestsellers and her songs are played on Iranain television stations. Her amazing talent continues to enchant generations of people all over the world. Sahar speaking at the memorial. Sahar is Mahasti’s daughter. Mahasti was the younger sister of singer Haideh. 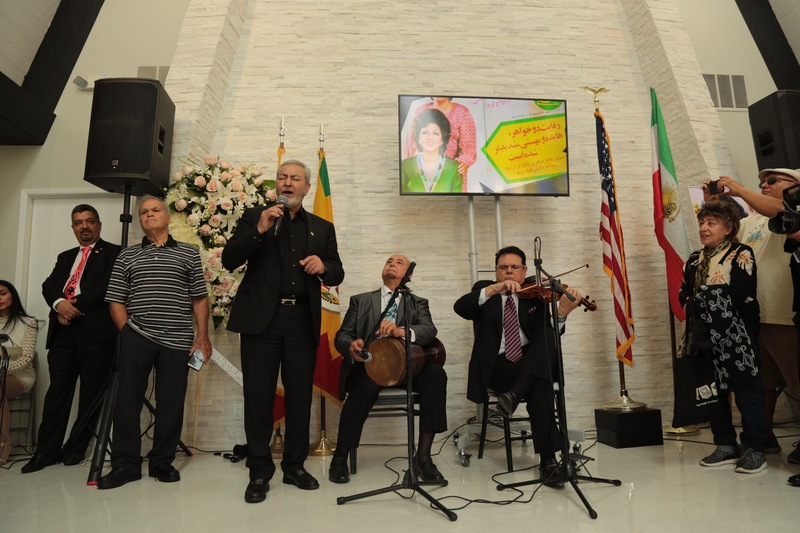 There were so many Iranian celebrities and politicians from all over Los Angeles in attendance. 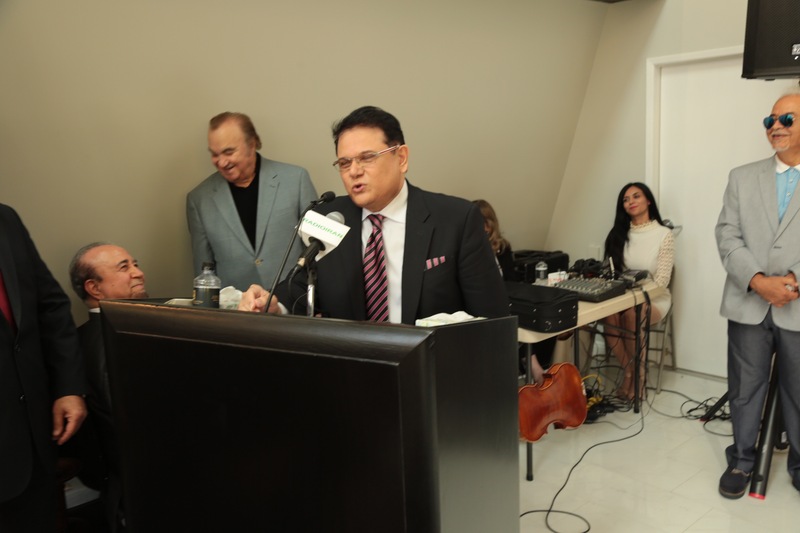 This event was hosted by Farangis MC & Gharib Afshar. Farangis MC began with an introduction. Stan Scott from Pierce Brothers Westwood Village Memorial Park & Mortuary spoke about the Dignity Memorial. West Wood Village Memorial Park is such an amazing place. It’s the resting place of so many luminaries. 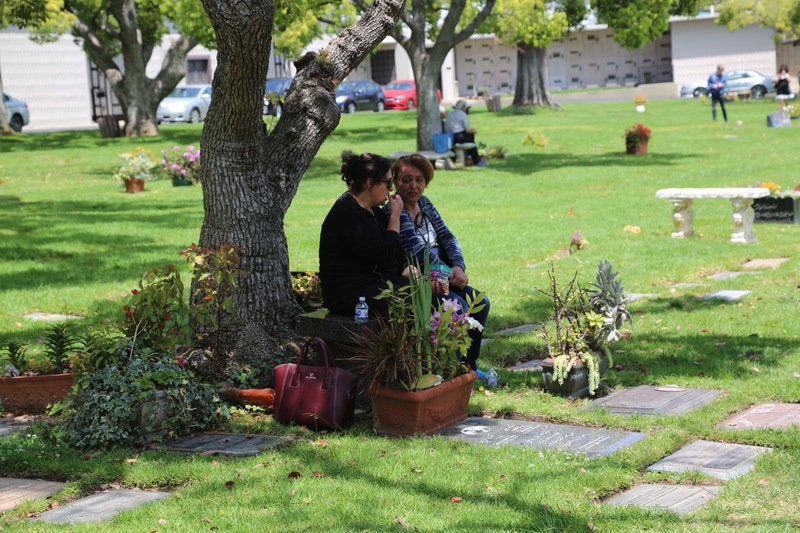 People like Jack Lemmon, Hugh Hefner, Marylin Monroe, Don Knots, Bob Krane and many of Hollywood’s legends are interred here. 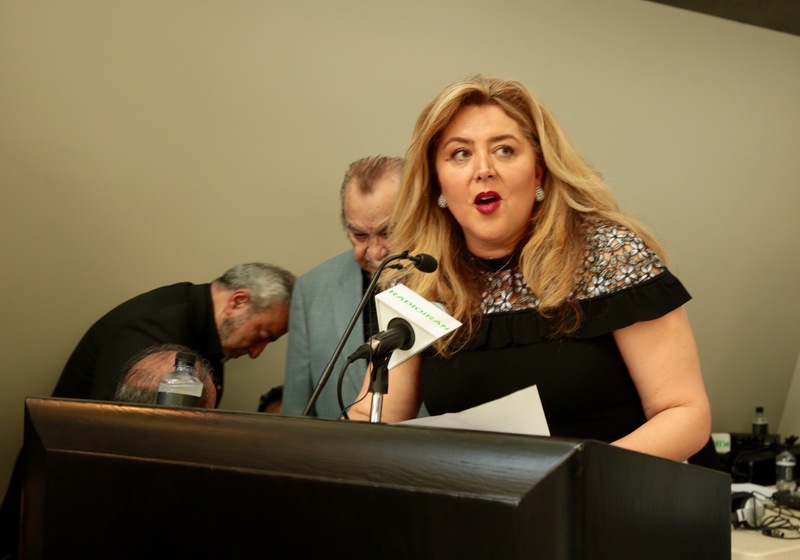 Next to speak was Roozbeh Farahnipour from the West Los Angeles Chamber of Commerce. Roozbeh is such an amazing person. 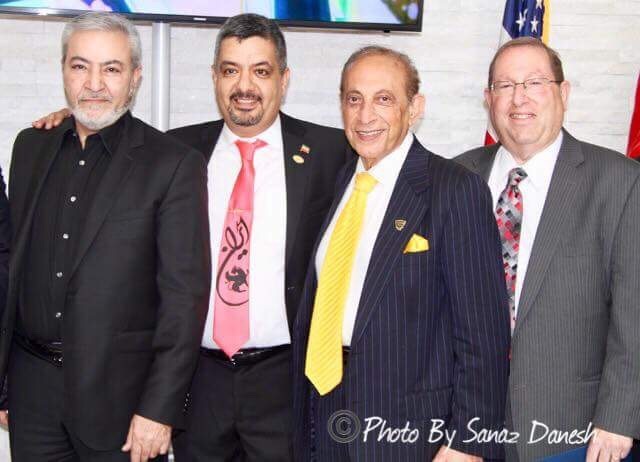 Known for being a leader in the movement for Iranian cultural resistance and the chairman of the Marz-e Por Gohar resistance movement which advocates the overfthrow of Iran’s Islamic government, Roozbeh connects so many Los Angeles business people. 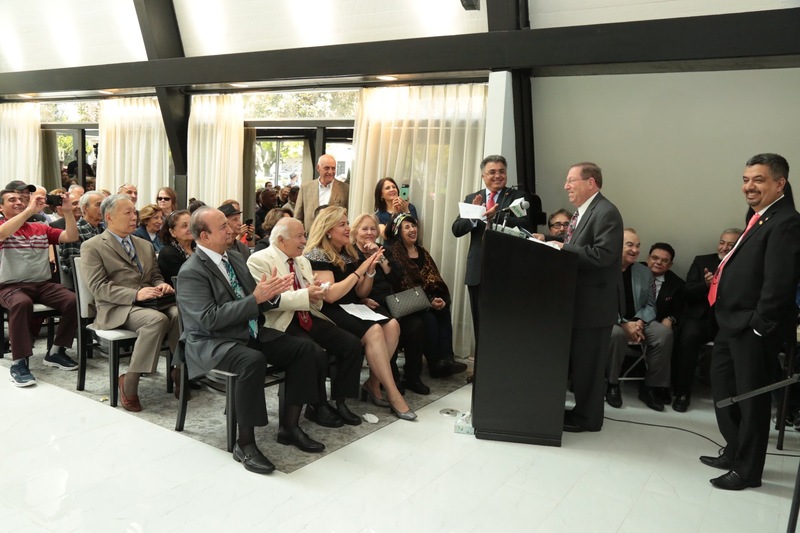 His position at the West Los Angeles Chamber of Commerce and running his restaurant, Delphi Greek, on Westwood boulevard, keeps Roozbeh very busy. Next up to speak was city councilman Paul Coretz from the City of Los Angeles’ Fifth District. Paul is such a great public speaker and always has something interesting and funny to say. 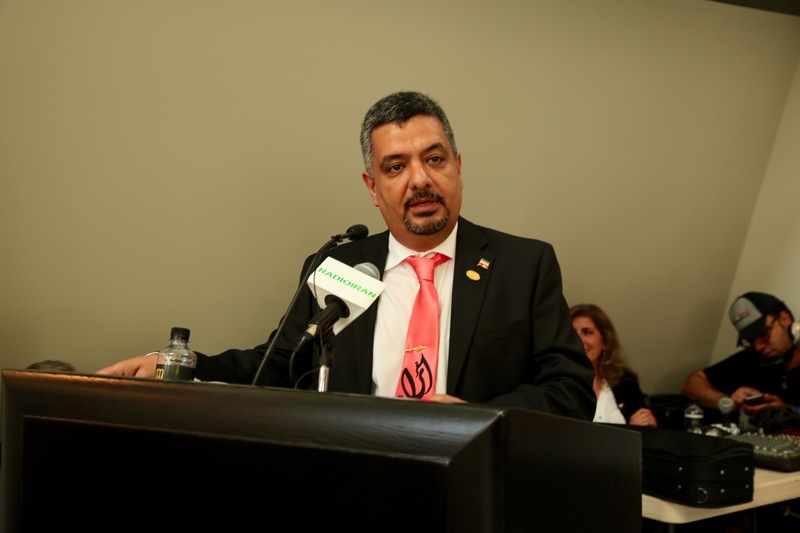 Haidehs’s son, Keyvan Nouri, spoke about Haideh’s life. A few of the speakers spoke in Farasi, so was is difficlut to understand them, but I think most people were speaking on their connection to Haideh and how special she was. Parviz Garib Afshar spoke a lot in farsis but in the end he said a few words in english about Haideh. The next speaker was Hassan Sattar. Mr Sattar also sang two soulful songs. Sattar is known as an Iranian pop star who also sings classical. He became famous in Iran before the Iranian revolution of 1978. He had become a Phalavi Royal Family court singer up until the policitcal uprising in the 1970s. It was a real treat to hear Sattar perform. The crowd was trying to push into the tiny chapel to take a video on their iphones. 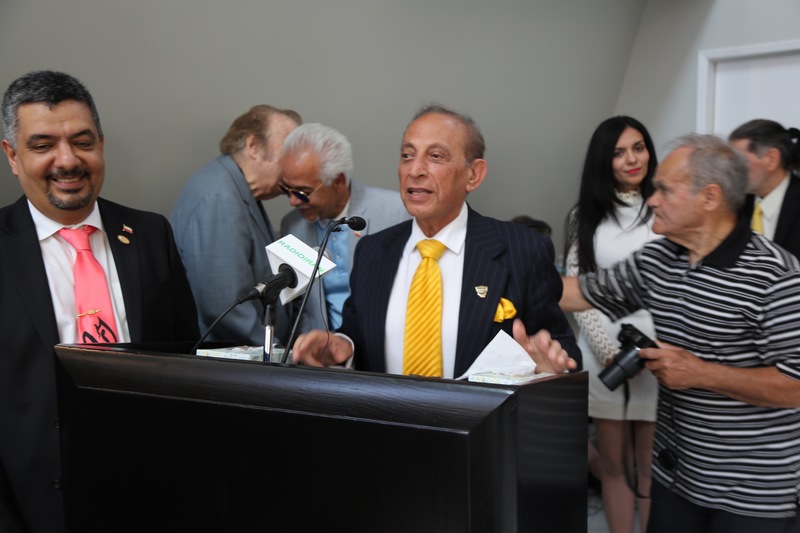 Next to speak at the Memorial for Haideh was the former mayor of Beverly Hills, Jimmy Delshad. 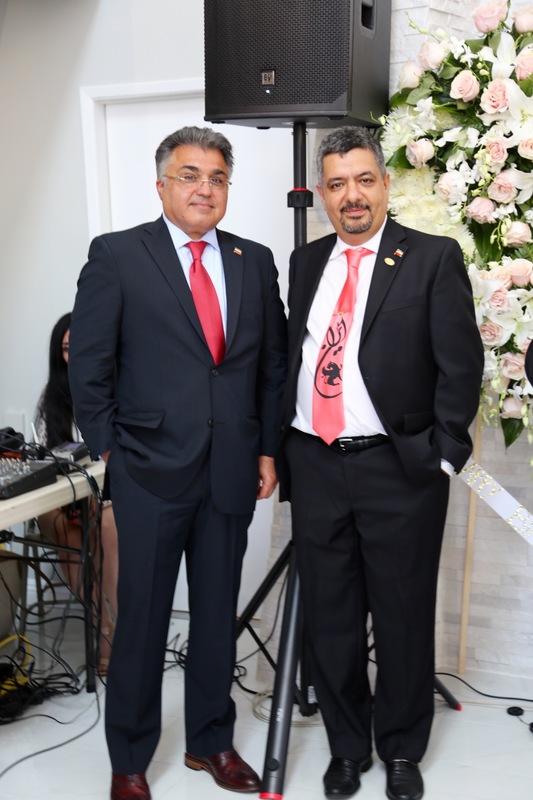 He spoke about his experience as an Iraninan in Los Angeles and how he wanted to become mayor to make a change. He also spoke about Haideh and how amazing she was in her singing. 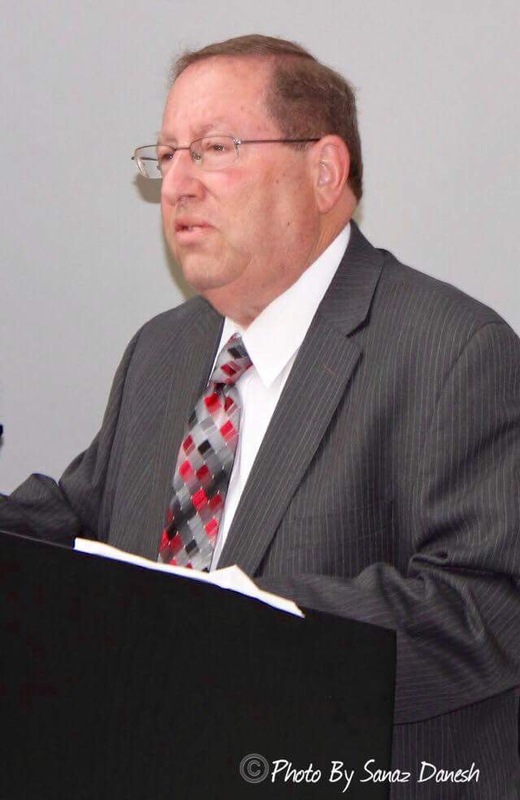 Next up was Westwood Communtity Council Chairman Steve Sann. Afghan songwiter, Farid Zoland, spoke about his colaboration with Hiadeh. 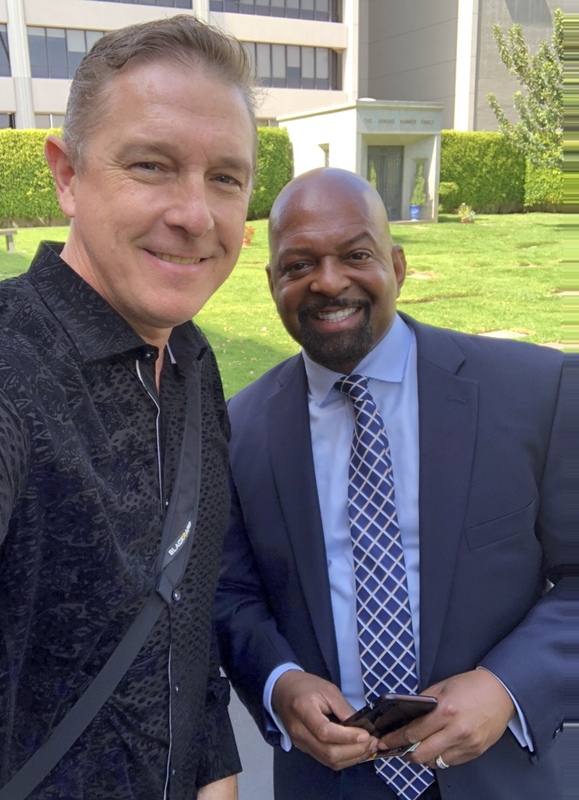 Communtity College Representative Scott Svonlin spoke about his commitment to provide one free year of community college to Los Angeles resident high school students. Mr. Svonlin said that he supports former President Obama’s commitment to provide free communtiy college to anyone. He continued to say that Mayor Eric Garcetti and Govenor Jerry Brown were commited to a project that gives students one year of community college for free. So, together, students can have two years of free community college. Roozbeh said a few words in closing about Haideh and her amazing life. Haideh’s son, Keyvan Nouri, also said a few words in closing. Haideh’s music still inspires many Iranian and Farsis speaking people.